Why it's great: Users say this mousse is a favorite because it "holds curls in place, gives great volume and lasts all day." Users also love that they can air dry their hair without the mousse making their strands stiff. "There's no other product that can handle my curly hair," claims one reviewer. "I've used everything out there, and this is the only product that works to kill frizz, create shine and holds well. This stuff is unbelievable!" Agree? Disagree? 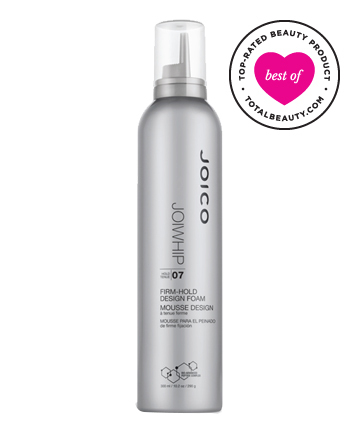 Write your review for Joico JoiWhip here.